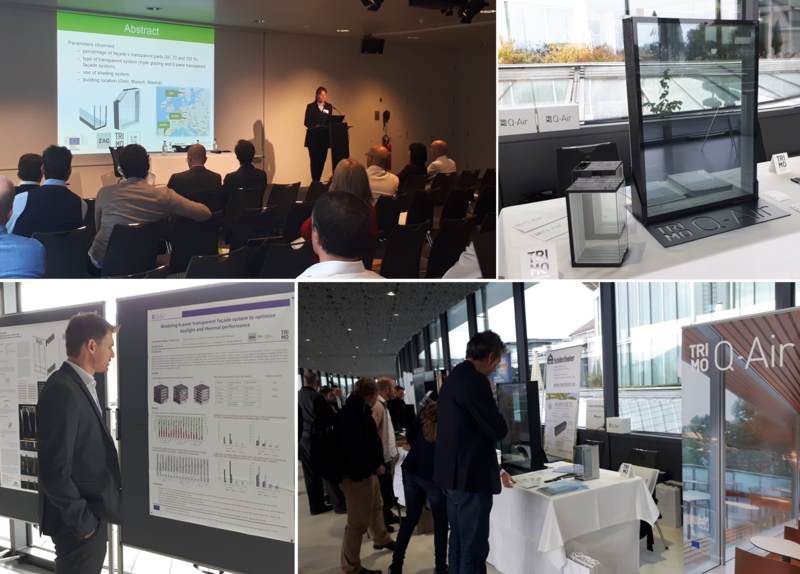 Trimo and ZAG as partner participants of the Q-Air Project Horizon 2020 presented their research work and exhibited Q-Air innovative glass façade system at the Advanced Building Skins conference, an international platform for architects, engineers, scientists and the building industry. The conference was held on the 1st and 2nd of October 2018 in Bern, Switzerland. The Advanced Building Skins conference sheds light on the significance of the building skin, with a view to putting scientific know-how into practice. Q-Air was presented at the conference programme under title “Modelling 6-pane transparent façade system to optimize daylight and thermal performance” and displayed at the exhibition part of the two-day conference. The conference participants – architects, consultants, researchers, university professors and other experts were totally impressed by the new “technology” of 6-pane glazing system and its performance, which is world´s unique. Q-Air, the leading European innovation for glass facades and perfect solution for Nearly Zero Energy Buildings or Passive Houses delivers outstanding thermal transmittance of complete curtain wall system Ucw ≥ 0,30 W/m2K at low solar heat gain coefficient Ug = 0,27 W/m2K. Furthermore, Q-Air requires no exterior sun shadings thus enables unobstructed view to the external environment. Living and working comfort for occupants is perfect – no cold draught at the glass wall at cold times and no “sauna effect” inside the building in hot days. 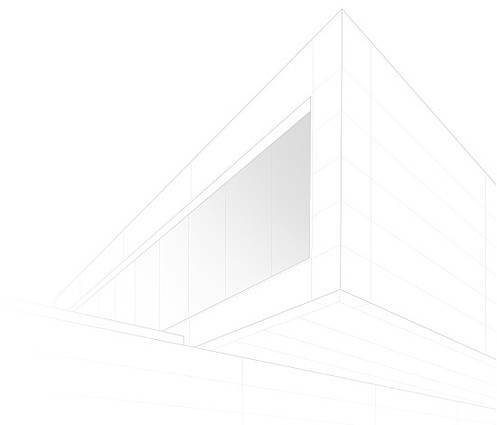 As a result of the research work in the field of multiparametric analysis of daylight and thermal performance an office building model was created and calculated in BIM environment. The results are very promising for the current and future built and environment. E.g. : in case of using Q-Air glass façade system (six-layers of glass) instead of conventional triple glazing (three layers of glass), the reduction of energy need for heating is in the range of 81% to 98% (based on calculations for three locations – Oslo, Munich, Madrid). More accurate, energy need for heating is up to 3,2 kWh/m2a in Oslo and up to 0,2 kWh/m2a in Munich. Q-Air is a next generation of glass facades available now.